Gardai have seized drugs and arrested a male after stopping a van near Ashford late last night. At approximately 11pm last night Gardai from Wicklow conducting a checkpoint on the N11 near Ashford, stopped a van. On searching the van an amount of cannabis was found and a male in his early 30’s arrested. After a more detailed search of the van, at Wicklow Garda Station, a large amount of cocaine (pending analysis) was found concealed in the van. Drugs with an estimated street value of up to €43,000 in total were seized. The male is currently detained under the provisions of Section 2 of the Criminal Justice (Drug Trafficking) Act 1996 at Wicklow Garda Station. In a separate incident a car was stolen in Ashford during a house burglary, thieves entered the house at around 4am and stole a number of items including the keys to the family car which they used to make their escape. 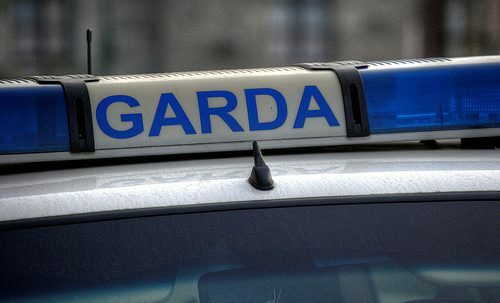 The 4×4 which was stolen in Aughrim on Tuesday morning was recovered by Gardai in Ballylinan, Co.Laois.